Cardiac, Diabetic, COPD, CHF, Memory Care, Wound Care. Skilled nurses provide a variety of services, which include disease education and management, post-surgical care and wound treatment. Our experienced case managers will coordinate with the physician on your overall plan of care. 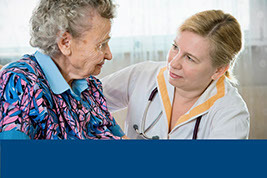 Our clinicians assess patients after being discharged from the hospital or when ordered by a physician. We then develop, in conjunction with his/her physician, a plan of care specifically stating the medications prescribed, mode of infusion, duration of care, and prognosis. 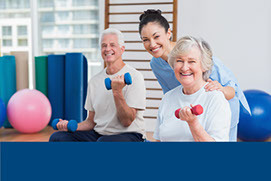 Pulmonary rehabilitation has clear benefits for patients with pulmonary (lung) disease. A comprehensive program includes exercise training in endurance and strength, education, nutrition counseling, and psycho-social support / counseling. 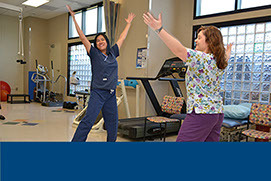 Certified Wound, Wound Vac, Ostomy, and Continence Nurses (WCN) are experts in the care of patients with wound, ostomy, and continence disorders. Our Rehabilitation program allows our therapist to work with patients in the comfort of their own home. Superior Care Plus offers an entire team of home care professionals who bring compassionate quality services into your home. Superior Care Plus is “The Home Care Provider” of AMM and Alzheimer’s Whisperer programs in the greater Cincinnati area.